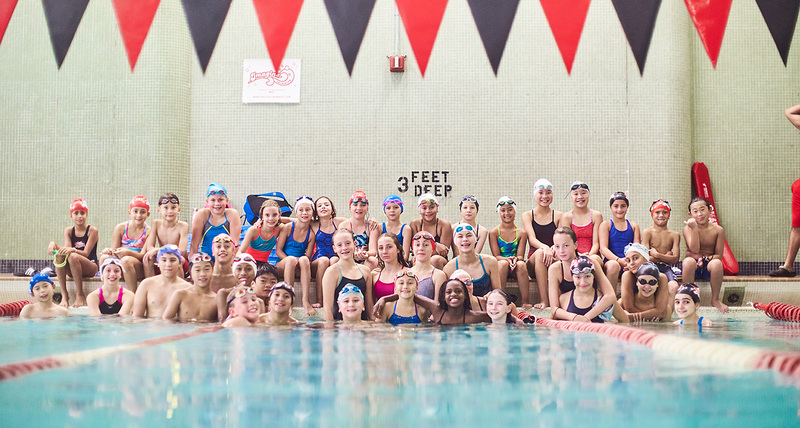 Competitive Swim Clinic - Imagine Swimming NYC - Premier learn to swim school. The objective of this five-day swim clinic is to further develop the swimming skills of children who already possess a strong foundation in the competitive strokes, in order to prepare them for a team and competition. In addition to honing technical skills, we strive to foster children’s love of the water and apply it toward racing. We are excited to host special guest and Olympic Gold-Medalist Gary Hall Jr. who will be working with all participants! Where: TriBeCa BMCC, 77 Harrison St. Duration: This half-day clinic will run from 9:00am - 1:00pm each day with check-in beginning at 8:45am and pick-up starting at 1:15pm. Who: Your child must be at least 8 years old and will be grouped according to age and ability. Children must be able to swim all four competitive strokes and complete consecutive yardage. Swimming for a USA Swimming Club is a plus, but not mandatory.